Three appeals court picks—David Porter, Ryan Nelson and Richard Sullivan—were among the 15 names the U.S. Senate confirmed to federal judgeships Thursday, after Senate Republicans and Democrats agreed to vote on a batch of judicial nominees as part of a compromise. 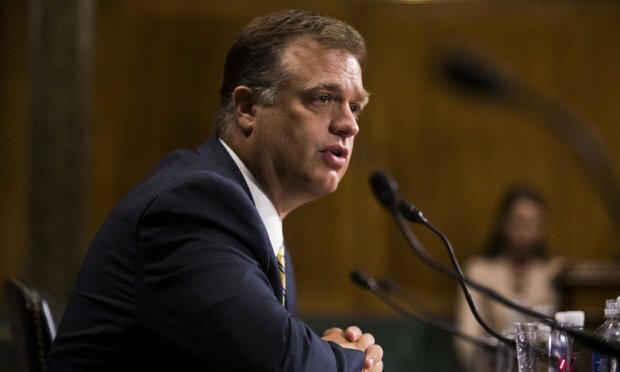 Ryan Nelson testifies before the Senate Judiciary Committee during his confirmation hearing to be a judge on the Court of Appeals for the Ninth Circuit, on July 11, 2018. "I’m not retiring!” Thomas said emphatically in recent remarks at Pepperdine Law, where he was in conversation with his former clerk Brittney Lane Kubisch and Pepperdine University president-elect James Gash. Dicke discusses what the new guidance means for the age-old question of: When is a digital token a security?